MANILA – Hiking tobacco taxes in Asia would save the lives of nearly 30 million people. Last week the Asia Development Bank released a new report assessing the effects of cigarette taxes on tobacco consumption in China, India, the Philippines, Thailand and Vietnam, showing that increasing tax rates on tobacco products would discourage millions of people from smoking and would significantly raise tax collections. 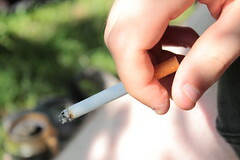 According to the report, if taxes on tobacco products in the Asian countries were raised enough to hike the price of cigarettes by 50 percent, a cumulative USD 24 billion in extra tax revenues will be raised per year, and an extra 67 million current smokers in the five countries will drop the habit, which would lead to a drop of 27 million in the number of tobacco related deaths. With a high proportion of smokers across the Asian countries, approximately 267 million people are expected to die from tobacco related illnesses. The health benefits garnered from encouraging taxpayers to quit smoking will be felt most amongst low income earners, who will enjoy the biggest impact to their health and will also be able to shift a high portion of their incomes to more productive and healthy spending after the quitting.